LONDON: Moribund. Decrepit. Sclerotic. Popular words to describe the economy shared by the 19 countries of the euro zone – but perhaps no longer apt. Very slowly – and primarily because of massive stimulus from the European Central Bank – the euro zone is showing signs of recovery. It is a dawn that policymakers are struggling to nurture into broad daylight. It also may not be felt equally across the board, viz Spain and Greece’s unemployed versus Germany’s busy builders. But putting aside for the moment that the euro zone’s nascent recovery is happening just as China is wobbling and financial markets are unhinged, the numbers look generally positive. Other data – though sometimes mixed – also points to a stronger-than-advertised economic performance. Consumer confidence is on the rise and economic sentiment is at a more than four-year high. Manufacturing, as measured by purchasing managers’ indexes, rose firmly into expansion in 2015, albeit still shy of its 2013 peak. But given where the euro zone has been – and the many prophets of its political and economic doom – its relative improvement is being noticed. “The world’s third largest economic bloc is actually doing rather well,” said Andrew Milligan, head of global strategy at Standard Life Investments, which is favoring European equities, bonds and property in its portfolios as a result. The danger is that it could all be knocked down in a second by what the finance minister of non-euro zone Britain, George Osborne, has dubbed a “dangerous cocktail” of threats to the world economy. Chief of these is the economic slowdown in China, which is the broader European Union’s second-biggest trading partner behind the United States. 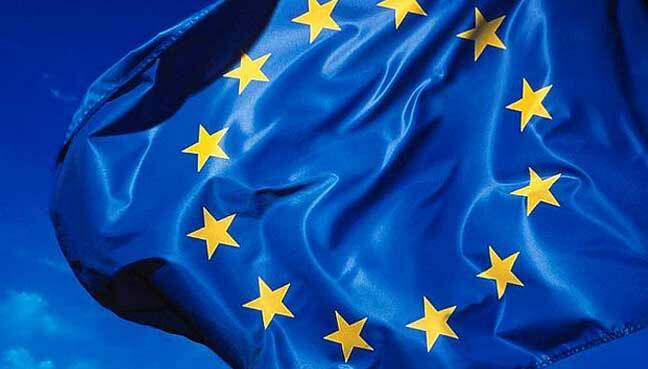 China and the EU trade around 1 billion euros between them a day, according to the European Commission. UBS calculates that a one percentage point slowdown in Chinese growth would slice 0.1 to 0.3 percentage points off EU growth, which it says “should be manageable”. A case can be made, however, that in Europe – and the euro zone in particular – the economy has been growing even while China and emerging markets have slowed. In the first half of 2015, for example, big gun Germany’s export growth to China fell to just 0.8 percent and engineering exports shrank by 4.9 percent. Yet German gross domestic product (GDP) growth was running at 1.8 percent at last count even with the slide. The overriding issue, though, is that the ECB’s 60 billion euro ($66 billion) a month stimulus package is in no danger of ending and can offset much of the impact of trouble overseas.